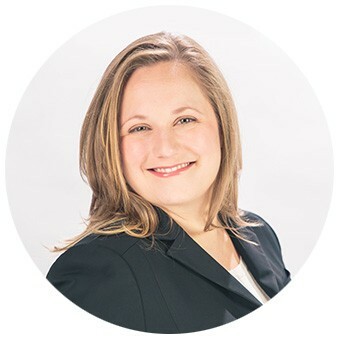 Meet Our Family Law, Divorce, & Child Custody Lawyer, Megan Hunt Dell. Megan is a South Carolina native, born and raised in Moncks Corner, a small town about 30 miles north of Charleston. She is a graduate of the College of Charleston and the Charleston School of Law. When Megan is not practicing law, she is attempting new recipes, trying to become a runner, singing loudly and offkey, and reading. Megan and her husband, Ryan, live in Ravenel with their cat. Megan is regularly invited to speak at continuing legal education seminars on family law topics. She is a member in the Charleston County Bar Association, the South Carolina Bar Association, and the South Carolina Women Lawyers Association. Between 2012 and 2016, Megan served on the Charleston School of Law Alumni Association’s Board of Directors. While in law school, Megan served as a volunteer guardian ad litem, advocating for the best interests of children in abuse and neglect cases. She also clerked for the Charleston County Family Court and a local family law firm, and volunteered for the Federal Public Defender. Megan’s diverse legal background gives her the skills to handle your case with the care and attention that you deserve. These practice areas require sensitivity to family issues (including disabilities, mental illness, and drug and alcohol addiction), as well as an in-depth understanding of how the courts view divorce, marital property, and issues affecting children. While knowledge and experience is important, Megan also strives to provide her clients with the support needed to move forward with their cases, and with their lives. When appropriate, Megan identifies problem areas that may be best suited for resolution through mediation or arbitration, which may help avoid costly and time-consuming litigation. These skills are complemented by Megan’s tireless commitment to her clients during an often disruptive period in their lives. Megan is a certified guardian ad litem for private custody and adoption cases, and these cases make up approximately one-third of her practice. These cases provide her with unique insight into the custody and child-related issues that are most likely to affect a child’s best interests and a family’s situation after a divorce. From the initial consultation to the final divorce decree, Megan will make sure that you understand every step that she will take on your behalf, and will inform you of pivotal decisions that may be necessary. While both negotiation and mediation are valuable tools in a divorce and child custody cases, she will not hesitate to litigate any issues where you may have essential rights and resources at stake. This comprehensive approach makes Megan Hunt Dell a leading choice to advocate your position in a divorce or custody case. Please contact our South Carolina family lawyer today for a consultation to discuss this important transition in your personal and family life.